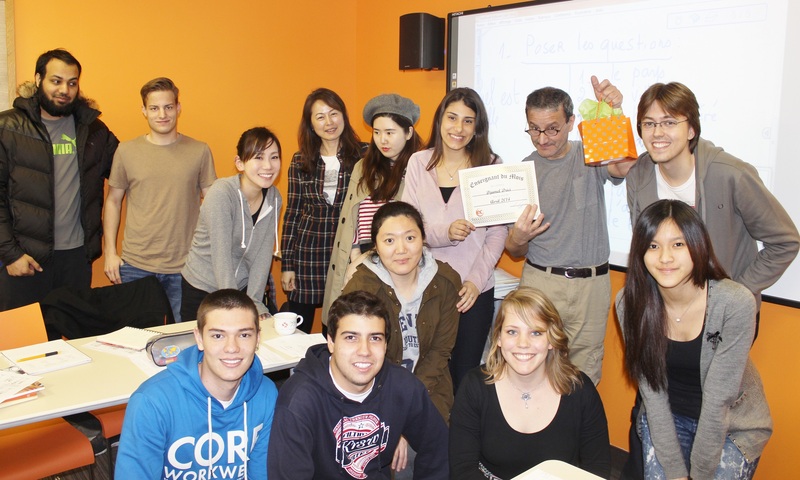 Djamel Drici Loves to Teach French at EC Montreal! 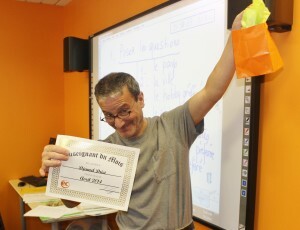 Djamel Drici has been teaching French at EC Montreal for many years! He absolutely loves his profession and does everything possible to ensure our students have a memorable stay in Montreal! Djamel was our French teacher of the month in April! He received the most votes and positive comments from our students! Here is what Djamel would like to share with all of you about his passion for teaching! Teaching is also learning about other people, sharing unforgettable moments and interesting experiences. I am delighted to be part of this wonderful team of teachers at EC Montreal. The opportunity to work with students of different ages and cultures is, for me, a source of personal and professional enrichment. As a teacher, I believe that supporting students in their learning is both an honor and a true pleasure. I like to help students seek, explore, build, and find their way through the language. I experience a lot of satisfaction when I see the students transformed by this process. It is a rewarding journey because it encourages them to go further while, at the same time, encouraging personal reflection. My choice to teach at EC Montreal is based on the wealth of opportunities and experiences that Montreal has to offer. Montreal has a rich history. Students can enjoy Montreal’s network of Nature Museums, visit Old Montreal and other interesting and colorful places, and experience the harmonious co-existence of the old and the modern. At EC Montreal, students will have many opportunities to soak up the local culture and enjoy the festive atmosphere that characterizes this multicultural city: The Montreal High Lights Festival, the Montreal Jazz Festival, hockey (the Montreal Canadiens!) are only a few examples of the multitude of experiences EC Montreal has to offer its students.